Goa is one of India’s favourite holiday destinations, and stands for beaches, beer, and warm tropical waters. But thanks to the lush landscapes, rocky cliffs, thundering rivers, and sprawling beaches, there are plenty of adventure activities to do. River rafting in Goa is one of the most exciting activities there is to do. White water rafting is a fun outdoor activity that involves teamwork and a willingness to get splashed or flipped into the water. Depending on the grade of the rapids in the river, the sport can be a light adventure suitable for families with teenaged children, or an expedition-level adventure with only experienced rafters allowed to participate. Rafting in Goa takes place in the Mandovi river, also known as the Mhadei river. Here, the rapids can be anywhere between Grade II to III, and mainly consist of smaller waves and clear channels with slightly turbulent stretches that require a little more manoeuvring. 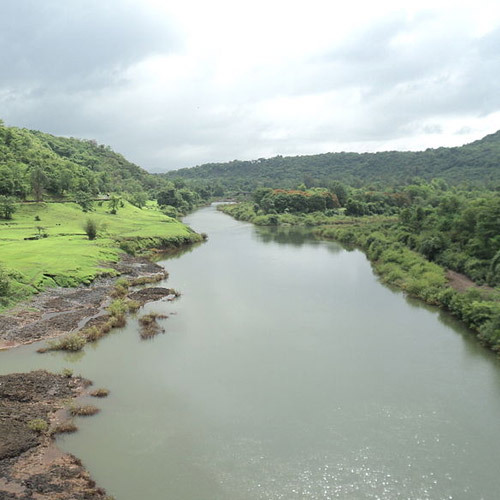 The beautiful Mhadei river is located in the Mhadei wildlife sanctuary, in a lush jungle landscape about 100 kms from Panjim. 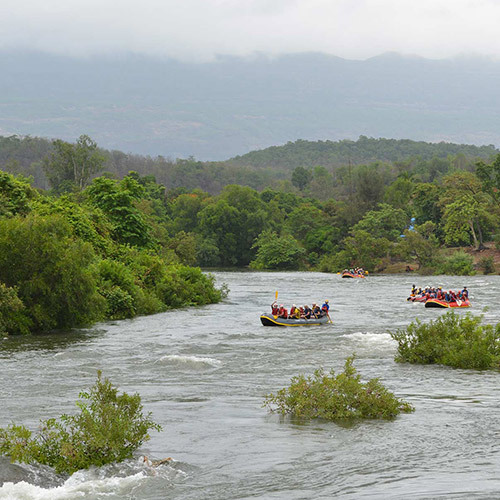 Priced at approiximately INR 1800 per person, there are day trips for river rafting in Goa. 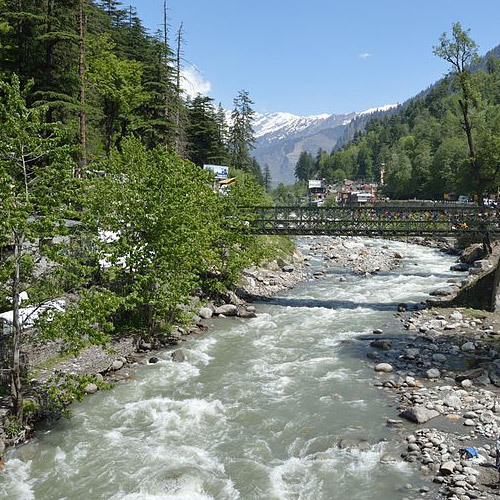 The team usually meets at Valpoi, which is one hour away from the rafting destination. Usually river rafting in Goa is conducted in two batches, morning and afternoon. It's pretty thrilling to be on a boat that defies gravity, leaping with the waves and rolling over the churning water. The skies above are grey and cloudy, and you feel strong winds too! This adventure is a great introduction to adventure rafting. The best type of clothing for river rafting in Goa would be well fitting swimwear, or quick dry shorts and T shirts. It is also advisable to carry your essentials in a waterproof bag, or to leave them behind. Wear sunscreen while rafting, even in the monsoon season. The monsoons in Goa are usually low-season for tourists, but these months are prime time for adventure sports like river rafting in Goa. 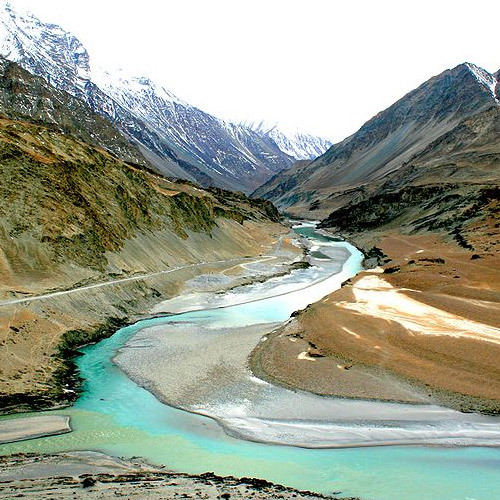 The torrential rains swell the rivers and turn the state into an emerald-green paradise. Goa rafting on the Mhadei river is a blast during this season! 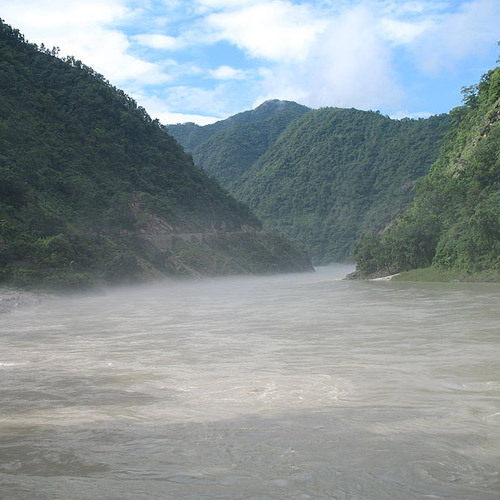 You'll get to experience Grade 2 to 4 rapids, which is mid-level to complex level. The monsoons in Goa are usually low-season, but these months are prime time for adventure sports. 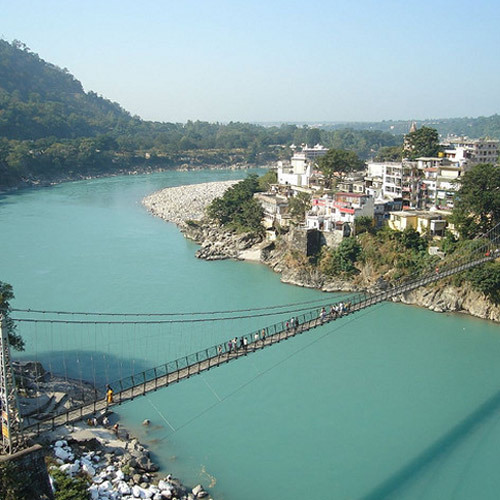 The torrential rains swell the rivers and turn the state into an emerald-green paradise. Rafting on the Mhadei river is a blast during this season! You'll get to experience Grade 2 to 4 rapids, which is mid-level to complex level. It's pretty thrilling to be on a boat that defies gravity, leaping with the waves and rolling over the churning water. The skies above are grey and cloudy, and you feel strong winds too! This adventure is a great introduction to adventure rafting. IMPORTANT: This is not a fixed departure trip, and requires a minimum of 2 pax to make a booking.